Ouch! Dry hands are so painful! The winter tends to be dry anyway… and running the heater (or wood stove) only makes it worse. This year has been really bad for me. I feel itchy all over, and it's a full-time job to keep on top of moisturizing my face, hands, and feet (especially) to prevent excessive dryness, cracking, and/or bleeding. Over Christmas week, I did a lot of sewing. I worked with fabric for many hours and it stripped my hands of any moisture they still had. Then, the kids were sick and I was doing extra washing and cooking, so my hands got even drier. They were quite painful! It took me several days, if not a week, to restore my skin back to normal. You know how fingernails on a chalkboard bother some people and give them the heebie jeebies? That's how dry skin feels to me. I absolutely HATE it and do anything I can to get on top of it or avoid it entirely! So on today's #AskWardee, I'm sharing the tips I follow to prevent and heal dry winter skin naturally… and these tips work for dry summer skin, too! Q: How Do I Heal My Dry Winter Skin Naturally? It's winter and my skin is so dry, especially my hands! It's painful to wash dishes or do any of my usual tasks. Everything makes it worse so I can't get ahead of it. I don't think my lotion is any good because it doesn't help. What do you recommend for a moisturizer, to heal it, and to prevent it getting so bad? Thank you, Wardee!! 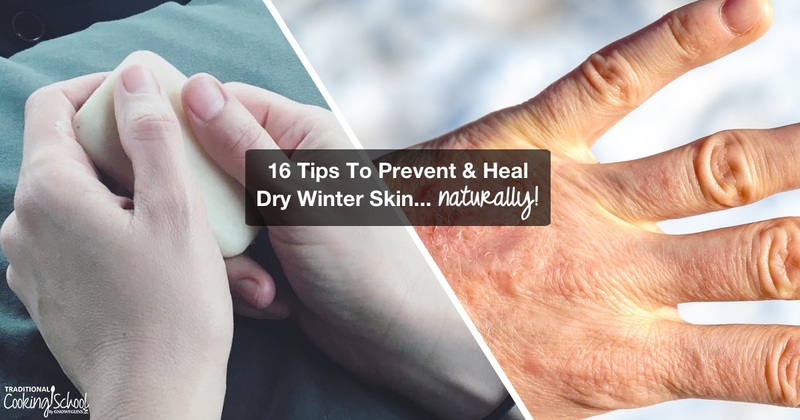 How To Prevent And Heal Dry Winter Skin… Naturally! These are the tips I follow to keep my hands, feet, and the rest of my skin soft and hydrated. #1 — Drink plenty of water to stay hydrated. You need to fight dryness from the inside out. If your body isn't hydrated, your skin fights a losing battle. So drink up! I love adding lemon and stevia to my water to help me drink more; here is my recipe. #2 — Eat nourishing fats. Want an introduction to traditional cooking that uses healthy nourishing fats? Register for our free video series here. #3 — Avoid toxins, allergens, and irritants. Harsh soaps and cleaning products are toxic and irritating to our bodies and can make skin issues worse. Even some real foods can be triggers for some people. If you know what bothers you, cut those things out of your diet and lifestyle. Got eczema? Renee from MadeOn Hard Lotion shared: “The most common triggers for eczema are dairy, gluten and eggs. 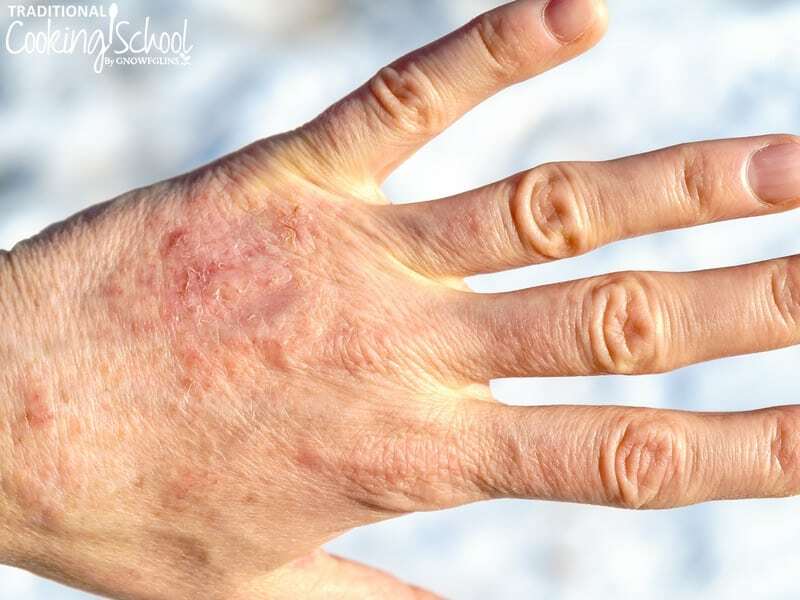 If you suffer from eczema, think about eliminating these to see if it helps your skin.” Learn more about how eczema happens here. #4 — Work on your gut health. If you have psoriasis or eczema or other skin conditions that only get worse in winter weather, focusing on your gut health — and healing from the inside out — will help as much as anything you can do externally. It could make the difference in healing your skin. #5 — Wear gloves while cleaning and washing dishes. Homemakers have it tough. We're always immersing our hands in soap and water. And that just makes dry hands worse, to the point where they can get red, irritated, scaly, and even cracked/bleeding. Ouch. When we had our homestead with a milk cow, I would have to wash our milk cow's teats in soapy, vinegary water. That was even worse for stripping oils off my hands, because of the “power” of vinegar to clean. My hands were so red and painful until I figured out how to minimize the damage (using all the tips here). The lesson here is… give your hands a break from touching soapy water as often as possible. Use the dishwasher if you have one. And when you do have to wash dishes, wear gloves and spare your hands! #6 — Shower less and/or for less time. Long and/or frequent showers will strip moisture and oils from your skin. To minimize moisture loss, I shower every other day. I keep my showers short and sweet whenever possible. Like baths but don't want to dry out? Try coating your skin with a little bit of oil before hopping in the tub! Whether you shower or bathe, definitely use natural soaps like I describe in #16 and moisturize right afterward like I'll share in #11. #7 — Shave less often. If you shave every day, do it every 2 or 3 days instead. If you shave every 2 or 3 days, try going to 5, 6, or 7 days. Shaving irritates and strips oils from your skin. It's winter anyway, and most of that skin is covered up, so who cares? #8 — Wash in warm, not hot, water. #9 — Apply moisturizer immediately after washing. Washing with soap strips oils from your skin. I'm not saying not to wash; I'm just pointing out what it does. So follow the other steps I list here to wash with minimal damage and then moisturize immediately afterward. What do I use to moisturize? On my hands, and feet, I use hard lotion. On my body, I often use my homemade whipped body butter, this baby bottom balm (yes it works for grown-ups, too! ), or a hard lotion bar. If I really need the moisturizer to stay on, the hard lotion bar is the best. On my face, I use aloe vera gel. Others may be able to use oil-based moisturizers on their face; I can't or I will break out with pimples. #10 — Apply moisturizer often — the RIGHT kind. The right kind of moisturizer for dry winter skin is not lotion. Rather, it's a hard lotion bar made of nourishing natural ingredients like coconut oil and shea butter that's also firmed up with beeswax. No water, fragrances, or fillers to dry out or irritate your skin, or reduce the effectiveness of the fats. When you put it on your hands, your skin's temperature softens it so you can begin spreading it on pretty quickly. And the magical part is — the beeswax (and no water) in it ensures that it stays on your skin (instead of lotion that would wear right off) and that you're not leaving greasy trails of lotion behind on everything you touch. There's nothing better! It can literally heal my skin overnight — and I use it regularly along with the other tips I'm sharing here because it keeps dry skin at bay. Way at bay. 15% OFF!! Renee from MadeOn Skin Care Products is generously offering 15% OFF your entire order through Wed Jan 31, 2018! Go here to shop and then use coupon code TRADCOOK15 when checking out. I keep a hard lotion bar everywhere: kitchen, bedroom, bathroom, purse, car, and living areas. I also keep these lips balms (same ingredients as the hard lotion bars) everywhere as well. Because I hate it when my lips are dry, too! #11 — Wash and/or moisturize your hands after touching anything that could be drying. Although I don't regret it, I made about 75 napkins over Christmas week (serged a rolled hem around squares of linen blend). That excessive contact with fabric stripped my hands of so much moisture that it took me several days to restore them using the tips I'm sharing here. The point here is to be smart using your hands. We can't not use our hands (we're homemakers after all! ), yet we can avoid tasks that are excessively drying by saving them for another season or spreading them out more. We can also take steps to prevent more damage by moisturizing immediately afterward. #12 — Lather up with lotion (bar) at bedtime. I hop into bed each night with my hands and feet well coated (and I mean, well coated) with hard lotion. So much healing and restoration happens during the night when we're still and inactive. I find if I'm a bit dry at the end of the day, this tip alone ensures I wake up with soft and hydrated skin. I do this even in the summer, especially on my feet! #13 — Protect skin from wind with gloves and scarves when outdoors. #14 — Use a humidifier. In dry climates, dry air is the biggest culprit behind dry skin, so consider using a humidifier to reintroduce moisture into the air. There is a caveat here — you don't want too much moisture in your home or you'll end up with mold. And that's a serious concern of another sort. So, this tip is only for those who feel that mold is not a risk. We do not run a humidifier; we let the shower introduce humidity into our bedroom during the winter. It's not too much that it will mold, but it does help a bit. #15 — Use a dry brush to exfoliate. I'm addicted to dry brushing. Not only does it stimulate the lymph system and detox pathways, it exfoliates your skin. Your skin will be smoother and softer (and less dry) overnight. It also feels really good. I love it and do it nearly every day over my whole body. 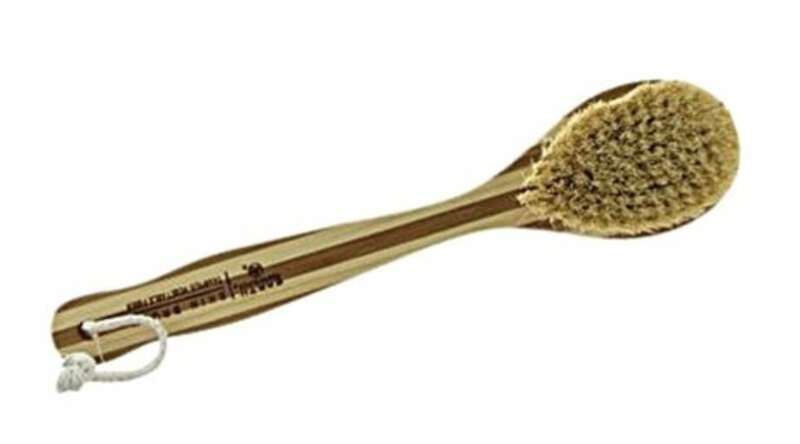 You can even get softer, smaller dry brushes for the face to help with exfoliation there! Where to buy: dry brush for the body and dry brushes for the face. If you're a member of Traditional Cooking School, check out Lesson 3 of our Women's Health eCourse for more information on how to dry brush! #16 — Use gentle cleaners and soaps — or skip the soap sometimes. Personally, I rotate between soap and no soap when washing my face in the morning and evening. I try not to wash too much and sometimes I only wash with water. Then I follow tip #10 and moisturize right afterward. We use homemade soap. Here is my recipe. Or, I purchase Dr. Bronner's castile soap or these nummy soaps from MadeOn. Renee from MadeOn Skin Care Products is generously offering 15% OFF your entire order through Wed Jan 31, 2018! Go here to shop and then use coupon code TRADCOOK15 when checking out. I keep a hard lotion bar (and lip balm) everywhere: kitchen, bedroom, bathroom, purse, car, and living areas. There's nothing better for dry skin! How a hard lotion bar works: A hard lotion bar is lotion formed into bar. It's made of nourishing natural ingredients like coconut oil and shea butter that's also firmed up with beeswax. No water or fragrances or fillers to dry out or irritate your skin, or reduce the effectiveness. When you put it in your hands, your skin's temperature softens it so you can begin spreading it on pretty quickly. And the magical part is — the beeswax in it ensures that it stays on your skin (instead of lotion that would wear right off) and that you're not leaving greasy trails of lotion behind on everything you touch. MadeOn Skin Care Products — use coupon code TRADCOOK15 to save 15% on your whole order through Wed, Jan 31, 2018! How do you keep dry skin at bay during the winter or any other time of year? Thank you, Wardee! 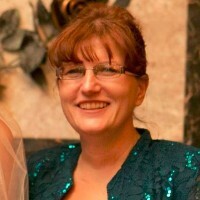 Great tips, and I am so grateful for the discounts on the MadeOn products (thank you, Renee!). I love her lotion bars and lip balms, and I’ve been so grateful for the hair butter, too. Just a little tip that I can’t remember if you mentioned or not: After I use the lotion bar on my hands at night, I put on white cotton gloves to wear while I sleep. It seems to help even more with moisturizing my dry skin. Here in Minnesota, I’ve heard that our air is more dry than the Sahara Desert in the winter time, so again, I really appreciate the tips and the discount. Thank you! 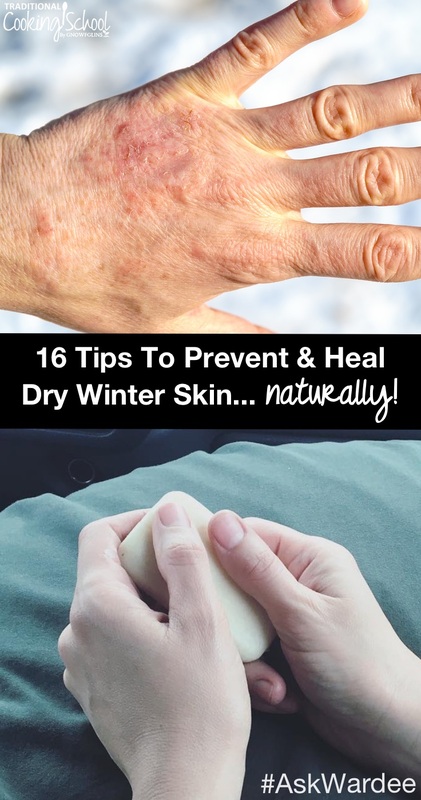 I’m glad you mentioned my two best ways to prevent dry skin in the winter, even though they were all the way down the list at #14 and #16. I like gentle soap, and tend to skip it entirely when the dirt I am trying to remove is water soluble. Humidifying the air can be as simple as putting a steel or cast iron pot filled with water on top of a wood stove or other heat source and letting it evaporate into the air. I usually put 1-2 gallons of water into the air every day this way, and have never had a problem with mold. I think mold usually needs a warm, wet, enclosed area to grow. As long as the air is circulating in an open space, it should be good. Adding humidity to the winter air also moisturizes your nasal passages and throat, keeping the colds and sore throats at bay, as well as preventing static cling in clothing. I have been searching for a recipe to help my son-in-law with winter skin ails. The hitch is that he has multiple allergies, amongst them all nuts, beans, and seafood. While olive oil is safe, shea butter is not. Anyone have any other sources to consider for him, even if not “best” or “typical”? You might want to research jojoba or avocado oils. Useful Information for skin. Informative article. Nice article for dry skin solution. Wardee uses a 5 to 6 quart crockpot. Green leafy vegetables are rich in Vitamins. Even Skin Specialist Doctor suggested me to eat green leafy vegetables and there is improvement to my skin. I would really suggest to eat Green leafy vegetables to get rid of dry skin faster. Thank You.